Our goal at The Beasley Firm, LLC, is to help victims of negligence in Philadelphia, Pennsylvania, get back on their feet. Our law firm’s team knows that one of the surest ways of accomplishing this is to hold defendants responsible for their actions. We have a team of skilled litigators who know how to present compelling evidence, demonstrate fault and illustrate the financial losses our clients have experienced. Through taking this approach, we have secured a number of seven-figure verdicts and settlements for our clients. Established in 1958, our law firm is devoted to personal injury cases that involve car accidents, medical malpractice, birth injuries, premises liability and defective products. Our successes in Pennsylvania and South New Jersey include a case in which an infant underwent heart surgery, suffering a serious brain injury and losing his arm. We built a compelling case to hold the surgeon responsible, securing the largest verdict in Pennsylvania medical malpractice history at $100 million. Clients who have suffered a personal injury may schedule a free consultation with us. During that conversation, we will assess the details, offer counsel and begin building a case against the defendant. 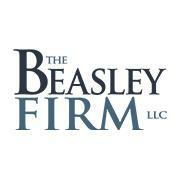 There is no matter too big or too small for our team at The Beasley Firm, LLC. Our law firm may be compassionate with our clients, but we represent them aggressively in the courtroom. Beasley, James E. Jr. M.D.